Can I ‘free issue’ material to you? Yes, although we would recommend you outsource as much of the material procurement as possible. By retaining control of the supply chain, in addition to placing the purchase orders you will need to continue to manage supplier performance, incoming inspection and quality issues along with all the other hidden costs associated with purchasing, purchase ledger, warehousing, losses, damage etc. In certain instances, for example when a product contains an extremely high value/single source component, it makes commercial sense for you to retain control of these parts. Any material you wish to ‘free issue’ would need delivering in advance of production. 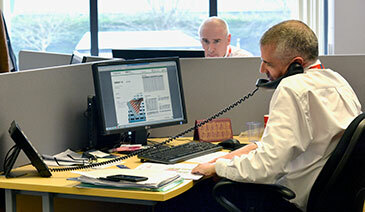 JJS will advise you on when the material is required in order to meet the agreed delivery schedules. If material is to be free issued, in order to avoid any confusion with the material supplier, we recommend the relationship, quality and delivery performance remains your responsibility. Yes, nearly every product we manufacture has a PCBA within it. We have the capability to produce both surface mount (SMT) and plated through-hole (PTH) assemblies. Increasingly, our customers recognise the need to outsource more than just the board. The PCBAs we produce are typically tested and assembled into sub-assemblies or enclosures to form part of a completed box build, cabinet or electro-mechanical product. Yes, although we may not be the cheapest. We won’t submit ‘lowball’ pricing in order to win short-term orders and we avoid participating in e-auctions. If your primary objective is to find someone that can offer you the lowest price then we may not be the right partner for you. The quotations we provide need to remain competitive for us to grow but they also need to be sustainable - something we feel is vital when entering into long-term partnerships. Yes, if your design is a complex industrial electronic or electro-mechanical product, we can help. Our Engineering team are able to offer support for Design for Procurement, Manufacture, and Test should you need it. Every product variant we build for the first time is automatically put through our New Product Introduction (NPI) process and overseen by one of our NPI Engineers. Any improvements or observations we have relating to the materials, assembly process, test specifications or product design are captured within an NPI report. On completion, this report is then sent to you by your Account Manager so that any necessary changes can be discussed and implemented in advance of the production build commencing. This process helps avoid unnecessary delivery delays, quality issues and cost. What level of design support can you offer? Our engineering team offers Design for Manufacture (DFM) and Design for Test (DFT) support for electronic, electro-mechanical and mechanical assemblies. With the exception of SMT assembly, all other assembly capabilities, systems and processes at our Czech facilities mirror those available within the UK. The Czech sites have a specific focus on complex electro-mechanical assemblies, with the added benefit of being able to ship directly into Europe within a matter of hours. Do you offer a refurbishment and/or repair service? Yes. An assessment of the ‘scope’ of work required would need to be carried out but we have supported a number of customers with repairs or upgrades to products. Do you have automated PTH equipment? Yes. In addition to a highly skilled workforce of around 40 staff in our conventional assembly team, we also have selective solder capability. We hold ISO 9001:2015 and ISO 14001:2015. Our production operatives are trained to IPC 610 A class 2 and 3. As a registered facility we can also support you with releasing products to UL/CE/CSA. Are you able to support with offsite engineering and manufacturing? Yes. We regularly provide offsite engineering and manufacturing support to our customers. Our skilled wiremen are able to work independently on your behalf or as part of your own internal team. 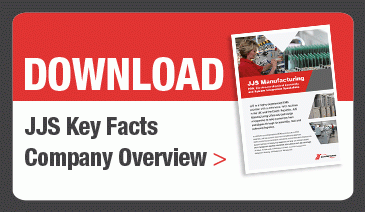 Do you offer high volume manufacturing? High volume manufacturing can mean different things to different people. We specialise in producing highly complex products in low to medium volumes. 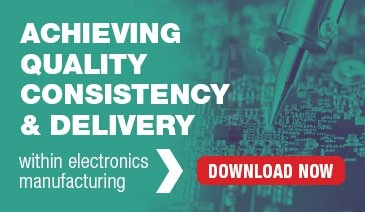 To give you an indication of the volumes we support our customers with, we work on batch quantities as low as one to five for cabinet and electro-mechanical assemblies but also up to two thousand a month for PCBA and box build units.